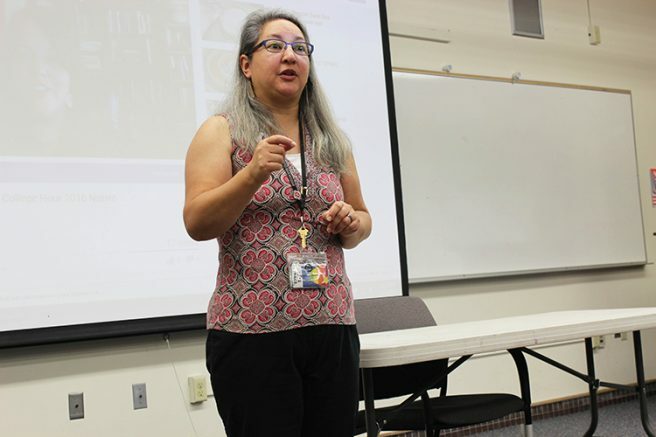 American River College hosted a college hour on Thursday about Native American political sovereignty with guest speaker Dayna Barrios, who was unable to attend due to her accepting a new job. A YouTube video of Barrios was viewed instead. Barrios, who has a degree in cultural anthropology from California State University, Sacramento, informed students of her perspective on the idea of sovereignty. According to Barrios, in the year 1924, the United States Congress officially said that everyone was equal under the eyes of the law. However, Native American tribes have suffered terribly at the hands of the United States government since the law has been in effect, according to Barrios. Professor Kristina Casper-Denman gave some insight into some of the injustices that these tribes faced even after Congress ruled that they were our equals. People who had Native-American heritage would be discriminated against and unable to defend themselves legally. It wasn’t until 1934 that these Native American tribes were able to begin gaining some sense of self-sufficiency. However, Barrios argued that, to this day, Native American tribes are still facing discrimination. Barrios said that as long as Native American tribes live under U.S. government rule, they will continue to be second-class citizens. This is why she argues for sovereignty for all Native American nations. Be the first to comment on "ARC hosts Constitution Day college hour"